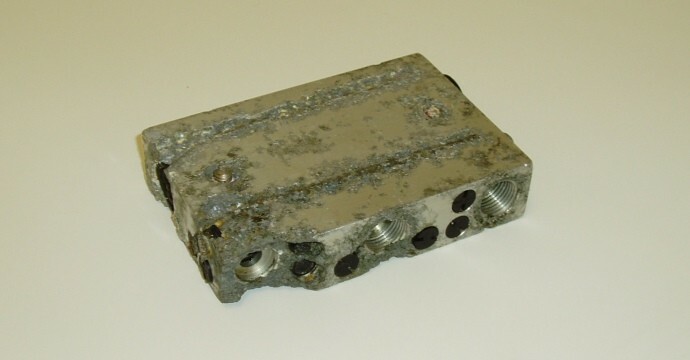 Galvanic corrosion is an electrochemical process in which one metal corrodes (Anode) preferentially to another metal (Cathode) when both dissimilar metals are in electrical contact and immersed in an electrolyte. The same galvanic reaction is exploited in primary batteries to generate a voltage. So what does this have to do with Hydraulic Cartridge Valves?? Well it has a very dramatic effect on aluminium under certain scenarios. 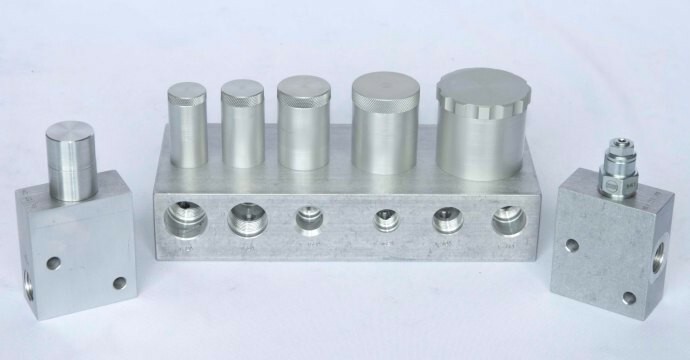 Let say you have an Aluminium Manifold (Anode), with a Steel bodied Cartridge (Cathode) installed. If we put this valve assembly in a marine environment where salt water (Electrolyte) can puddle or splash the area where the Steel Cartridge touches the Aluminium Manifold (Electrical contact), we now have the recipe for Galvanic Corrosion. As the Aluminium is more Anodic than the Steel, the manifold corrodes at a much faster rate. 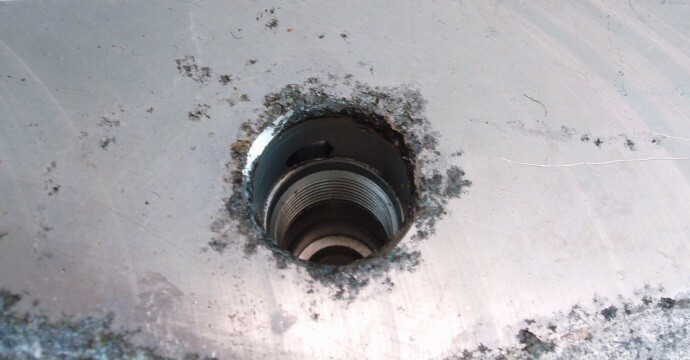 The Steel is more Cathodic than Aluminium, so the Cartridge corrosion is retarded or even stopped. Today the marine Hydraulic Cartridge Valves have manifolds that are Anodised and most Steel Cartridges are plated, which intially slows the Galvanic corrosion process occurring, this is good but does not eliminate the problem. 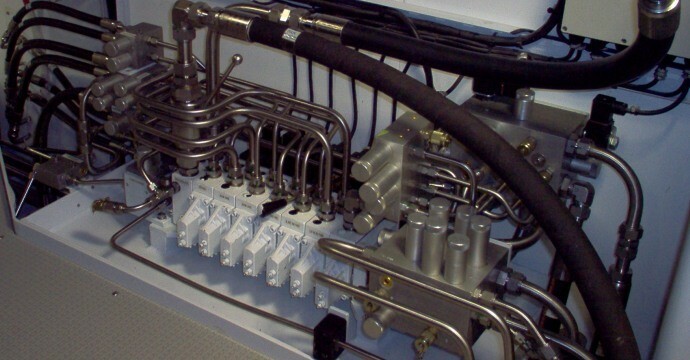 HCV has developed a unique cover cap protection system to eliminate Galvanic Corrosion occurring between the Cartridge Valve and Manifold. We encapsulate the Steel Cartridge with an Anodised Aluminium tube and hold that on with a sealed cap. 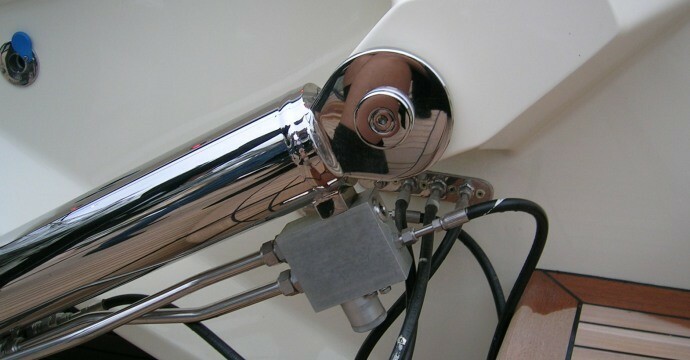 This stops the sea water (Electrolyte) from getting to the Cartridge (Cathode), and as the Cover cap is made from the same metal as the Manifold this means neither metal can be Anodic or Cathodic as they are the same. So what about Steel cross drilling plugs in Aluminium manifolds?? At HCV we can install Anodised Aluminium plugs into the manifolds that are in potential Galvanic Corrosive environments. Again there is contact between the Manifold and Plugs but the metals are the same. OK so what about mounting?? Using Stainless Steel mounting fasteners is a good start. 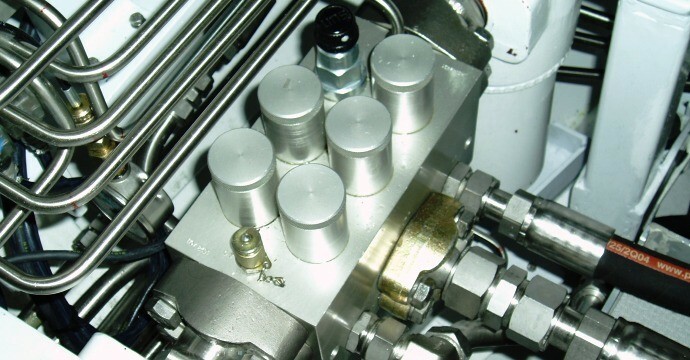 The Aluminum (Anodic) area is generally a lot larger that the Stainless Steel (Cathodic) area so the amount of corrosion is lessened, however in marine environments to avoid pitting in the manifold a non conductive washer should be used to insulate the metals from each other i.e. rubber, nylon, etc.. 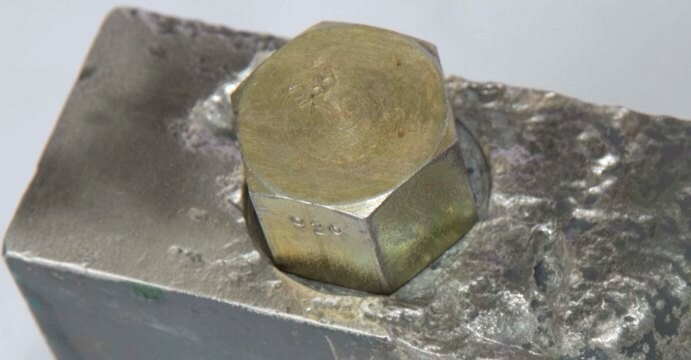 Predicting the rate of Galvanic Corrosion can be difficult, not only does it depend on the Metals being dissimilar but it also depends on the area of Anode verse the area of the Cathode, also different electrolytes can speed up or retard the process. 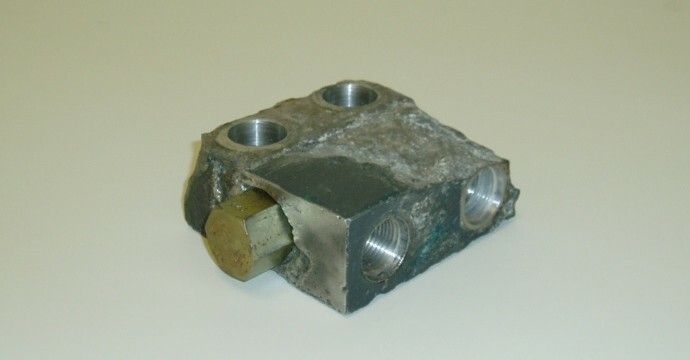 However we do know it does exist in certain marine environments so taking these precautions which are relatively low cost can ensure the Hydraulic Cartridge Valve is going to endure longevity. For more information on Cover Caps or Anodised Aluminum plugs contact the team at HCV.